There have been lots local stories on all of the military grade hardware that is making it back to the US post-Afghanistan and Iraq. Locally our Sheriff's Department took delivery of a lovely little 19 ton piece of equipment just last year. However, until yesterday I had not seen information on how widespread this is across the US. The NY Times ran a piece on the increased militarization of local police forces that included this graphic. 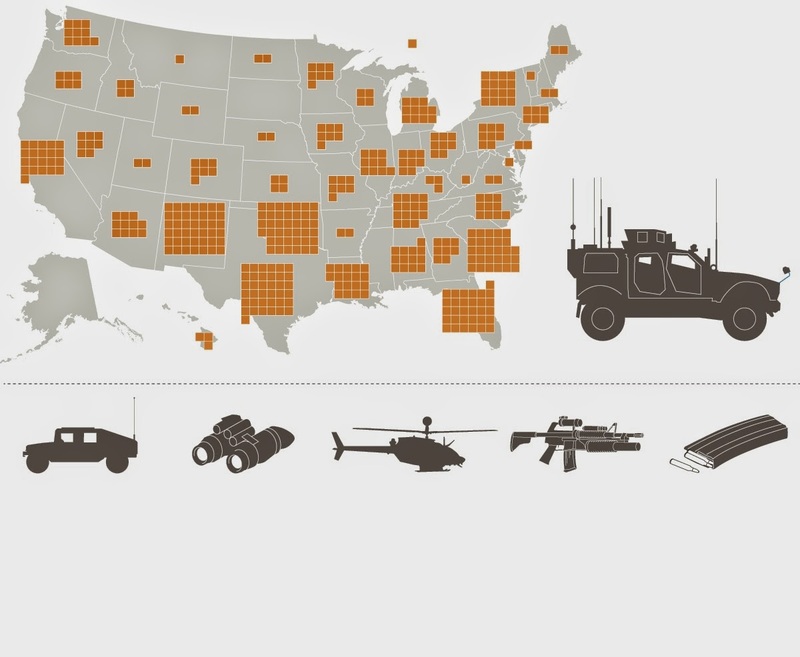 On this chart each orange block represents 1 MRAP (Mine Resistant, Ambush Protected Armored Personnel Carrier) delivered to a local police force. The thing that jumps out at me? What the......New Mexico? You've taken 42 MRAPs and you have just over 2 million people? Unless they are hosting some kind of x-games for MRAPs that seems a little excessive. I don't think there is any grand conspiracy with putting these things in the hands of local police, but I do think that the more we give the police military style gear, the more likely they are to act like a military unit.